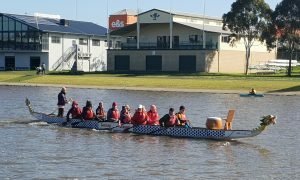 On a brisk morning, we headed down to the Barwon River in Geelong, Victoria. Once again the amazing team from Aquayak Kayaks were on board, this time as our major sponsor for the event. They not only brought down a heap of craft for people to use, but donated 8 ‘tubs’ to tow behind kayaks. These will be extremely handy for our bigger clean up events where people collect a lot as it gives you more space to put rubbish. In addition to Aquayak, we also had craft provided by Paddle Life Barwon Heads. 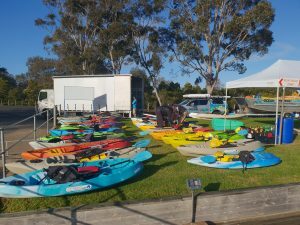 They have a fleet of Aquayak Kayaks on the Barwon in Barwon Heads that anyone can hire so if you’re down that way, look them up as it is stunning to paddle down that way. The weather the day prior was very ordinary, so it was nice to see sunny skies as we rocked up at this stunning section of river opposite the Geelong Rowing Clubs. 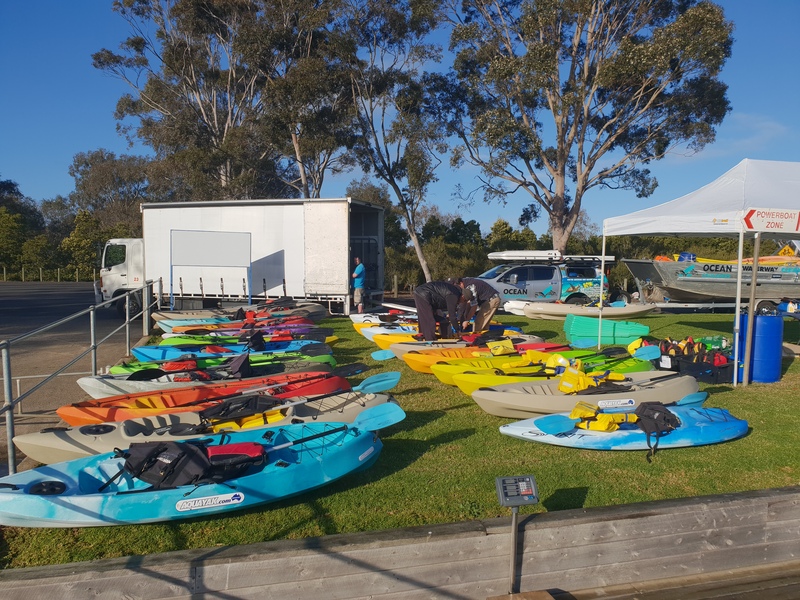 The overnight temperature was only 4 degrees however the sun made warmed things up quickly as the fleet of Aquayak Kayaks was laid out on the grass. The first person to roll up was Wes Prosser. Wes has been cleaning on the river for quite some time with a particular focus to collect parking machine tickets. He tells us he has found tickets that are 10 years old. The paper-like material used in ticket machines isn’t just paper. They have a plastic layer on them and hence they last for years. They have also become a great way of tracking drain systems as he is finding particular tickets in particular parts of the river. Hopefully we can help initiate a conversation between council and Wes to find a better solution to this issue. 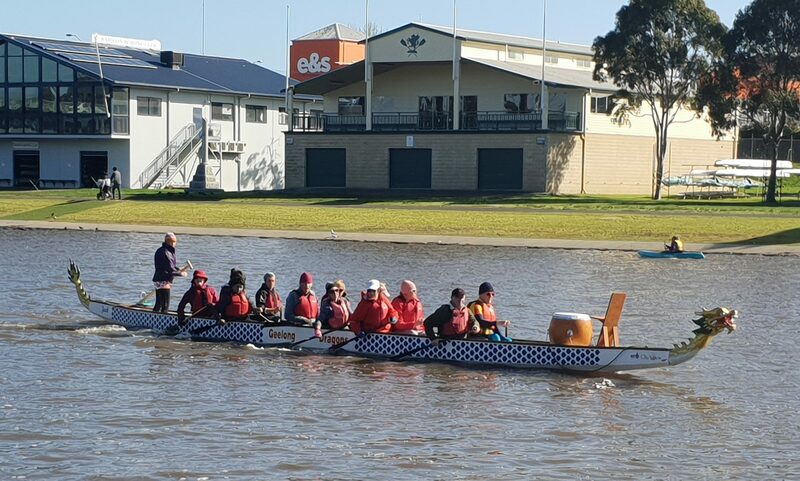 By the official kick off time we had most of the fleet of kayaks on the water and down the river comes the Geelong Dragons Dragon Boat Vessel. They are so impressive on the water, to see a team working together to propel a craft old style. 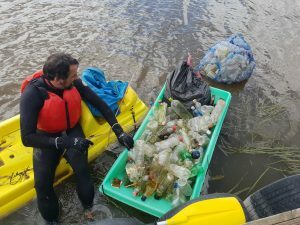 They played a vital role in the clean up offering the smaller craft the option to swap out bags so they can keep cleaning. It didn’t take long and the bags were returning with the rubbish taking form of the usual suspects from this part of the world. Without any type of container deposit scheme there are so many single use beverage containers, particularly plastic that float so well in a river. This time we had managed to collect 450 of them. When you consider every one of them has a lid and usually a plastic label (most of the time it has soaked off) it is a lot of plastic entering our environment. And when you consider the fact that through photo degredation they can break into enough pieces to have a particle on every beach everywhere in the world, we really need a scheme to reduce the number of containers we collect. The other thing we find a lot of is polystyrene. Victoria has a huge issue with this stuff and in the reed grasses it piles up deep waiting for birds to unsuspectingly grab them and possibly even feed them to their chicks. There are better solutions to polystyrene in the form of soluble natural products like rice based puffs that can be used instead. 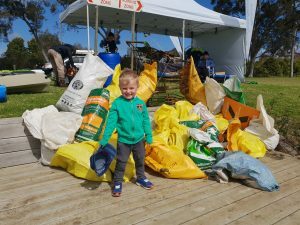 It’s time Australia looked at banning polystyrene full stop. We also had some family members who opted not to jump on the water and walked the bank. One young family had dad on the bank and mum and son on the water. They found a trolley that was too far from the land and to hard from the water but as a great team they managed to remove it and walk it back to the base. It was an old Bi-Lo trolley and considering they closed about 10 years ago, and by the state of the rusted out frame, this had been there most of that time. All in all we removed a staggering 162 kg of debris with 72 amazing volunteers. The strangest thing found was a Spalding Seat, possibly off a cart. It was found by three amazing ladies who also took one of the Aquayak Tubs and they headed to Balyang Sanctuary where they clean quite often. Being close tot he golf course would explain their find. Many people once again commented on how ‘eye opening’ the experience was. When most people paddle they don’t look for rubbish and think the river is clean. When you look for it you find heaps and then it is really hard to paddle past it. 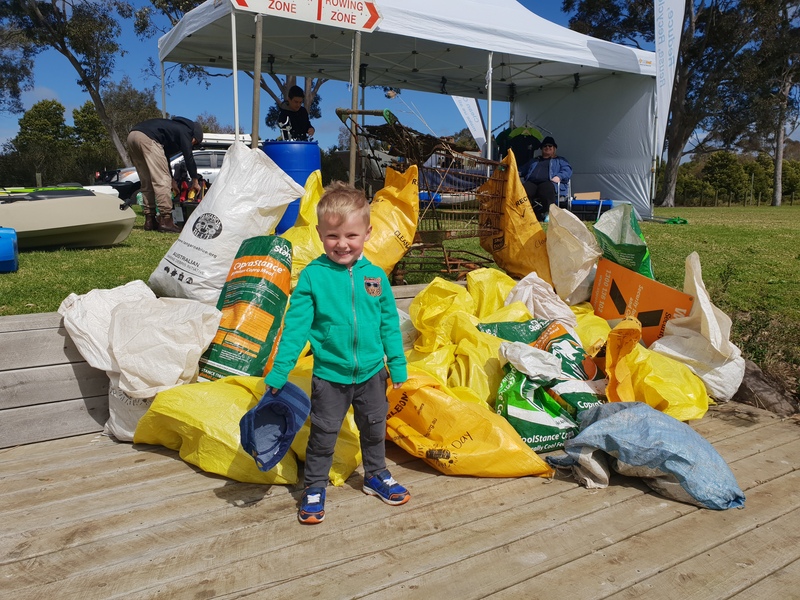 Whilst every river has some dedicated cleaners already, it is nice to support to them with our events and hopefully add some help for them, not just on the day but in the future as people paddle to clean. However the best way would be to stop the debris in the first place. If we don’t buy it, it doesn’t make it into the water. If we catch it at street level, if doesn’t reach the water. There are systems available and it would be great to see local council look at options to prevent this debris hitting the waters. Everyone can play their part as well, especially over summer. The local committed crew tell me Autumn has the most debris due to park parties so this summer, keep your party plastic free and throw everything else in the bin. No bin, then take it with you. Thanks again to our amazing sponsors Aquayak Kayaks. If you’re looking for a quality Australian Made Kayak, look them up. Their craft are far superior to cheap Chinese craft and will last in the Australian sun far longer. And if you cant afford one, head down to Barwon Heads and jump on one of Paddle Life’s craft for a few hours. 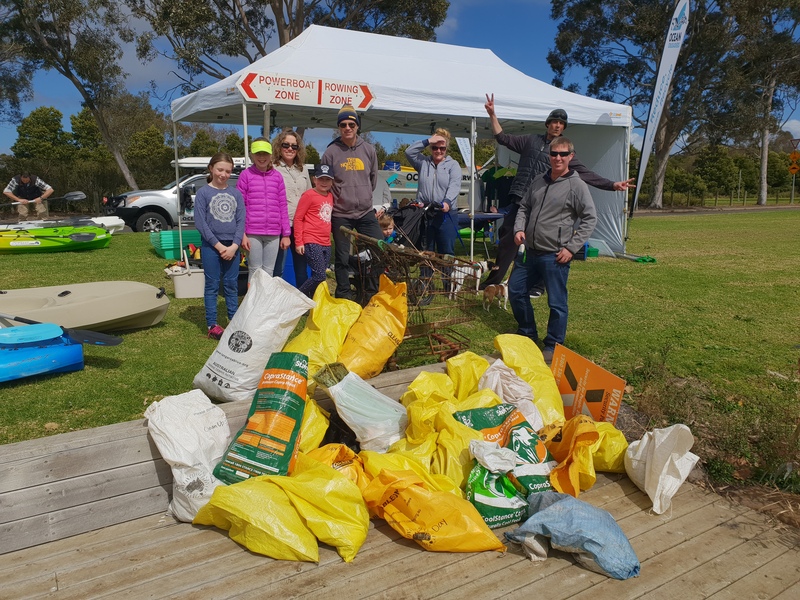 And of course a special thank you to our amazing volunteers who came down and cleaned the Barwon. See you all again early next year for another events.